It was a year ago this week that the Evening Standard became a free newspaper, when overnight the cry of the newspaper seller ceased for ever upon the London streets. So I was especially touched to come across Phil Maxwell’s sympathetic pictures of this once familiar sight, published on his daily blog yesterday. With a panoply of unlikely yet memorable posts about beggars and bubblegum machines, hawkers, hoodies, skateboarders, trolley ladies, and people carrying chairs and wheeling tyres – all witnessed by Maxwell’s superlative photographs – this endeavour is developing into a compelling panorama of the East End over the past thirty years. 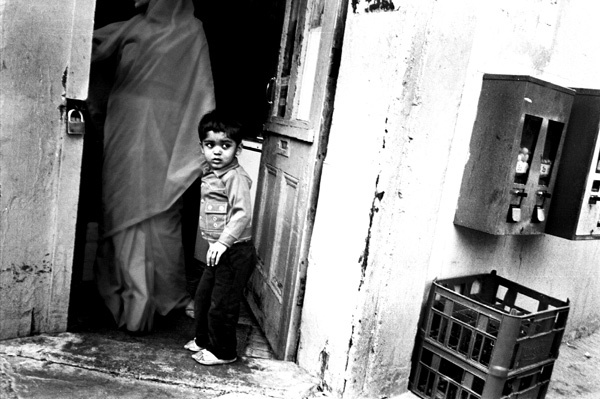 He dignifies his subjects through compassionate unsentimental observation, taking those who might otherwise be perceived as ‘marginal’ and creating images that place these people where they truly exist, at the centre of life’s drama. 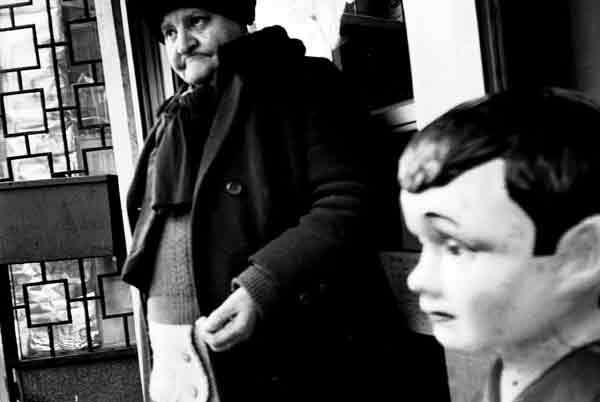 Always alive to the subtle poetry of humanity, Phil Maxwell has become the pre-eminent recorder of London street life in our day, and I wholeheartedly recommend Playground of an East End Photographer to you. 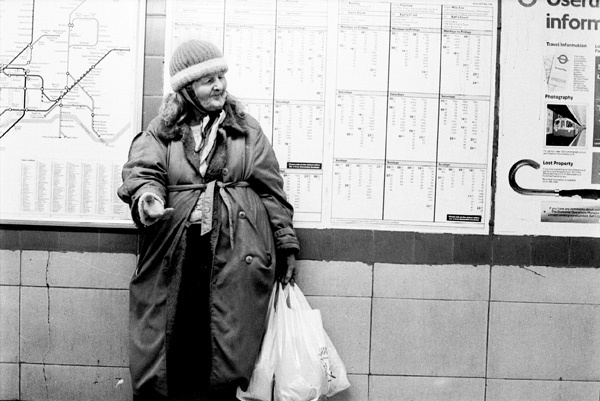 This lady was a regular feature begging at the entrance to Aldgate East tube station in 1984. 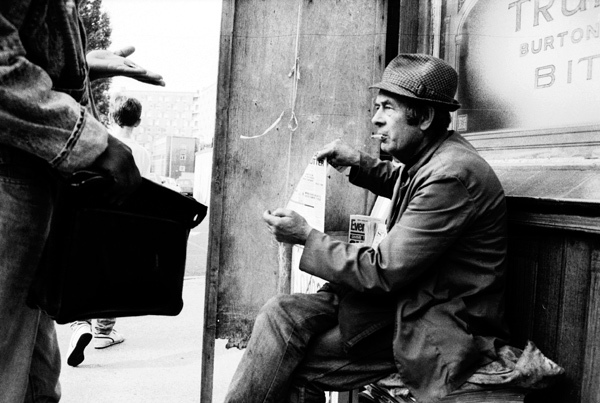 This lady was photographed begging outside the entrance to a newsagent on Whitechapel Rd in 1986. 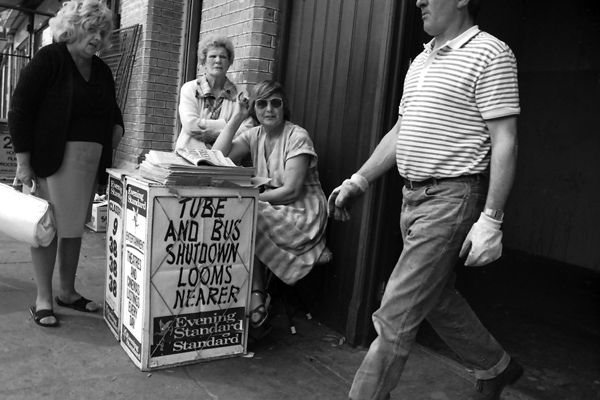 Newspaper sellers at Whitechapel Station, 1988. 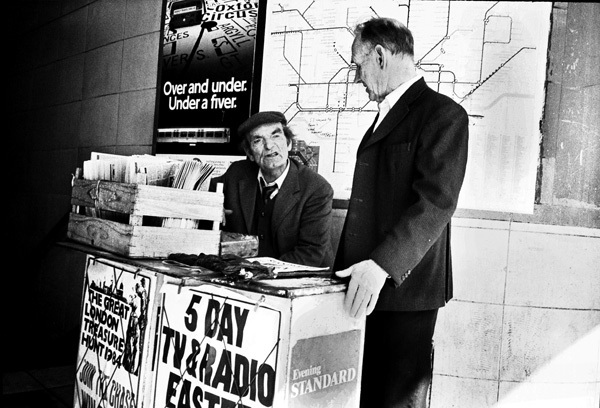 Newspaper sellers at Aldgate East Station, 1987. 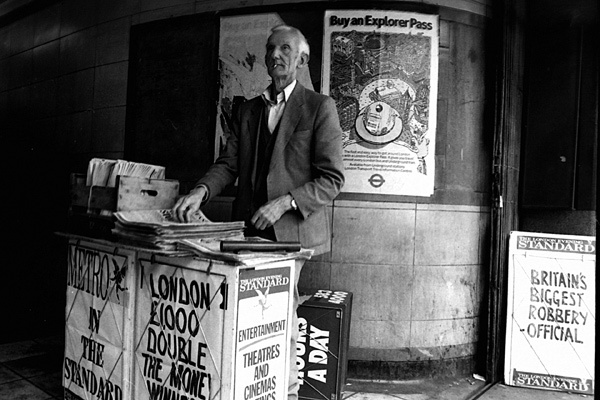 Newspaper seller at Aldgate East Station, 1985. 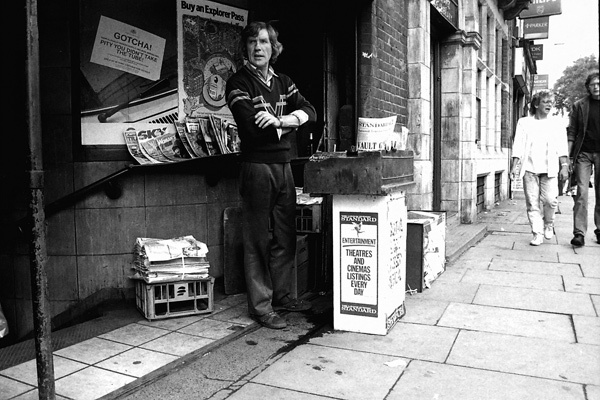 Newspaper seller at The Birdcage, Columbia Rd, 1987. 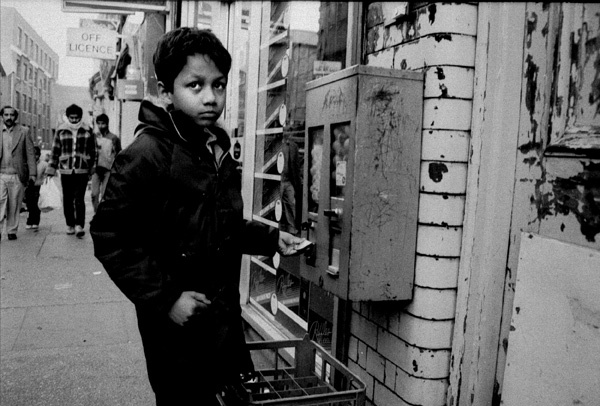 Bubblegum machine next to a shop entrance in Brick Lane, early nineteen eighties. A point of great insight and beauty, gentle author, that those whose lives are seen as marginal, can also be central agents in a living city. Thank you for these words and images. I love Phil Maxwell’s photographs you really feel the intensity of the moment, the photographs don’t have the sense of something grabbed but closely observed, thank you Phil would be lovely to see an exhibition and book of your work. I love this photographer,I was born and raised on Caledonian Road 61 years ago,l left London 27 years ago to raise my children in the country,both now live in ‘trendy Dalston”.They look at me as thought I’m mad when I discribe my childhood in London,how run down the city was ,how as a child i played on bomb ruins which were still evident in the 70’s.Thes pictures capture the era.Every area had character’s similar to the cat lady who just coexisted with the rest of the population .